Borchert Field: Turn Ahead the Clock. Again. 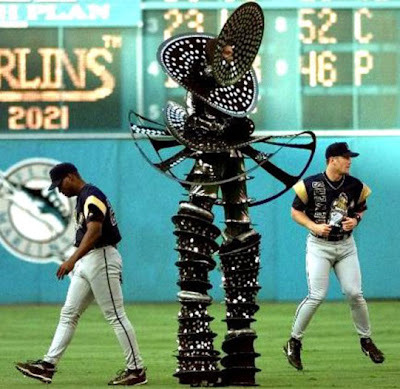 Back in 1999, the Brewers participated in a rather unusual event known as "Turn Ahead the Clock". A counterpoint to the traditional "Turn Back the Clock", where teams wear vintage style uniforms, this postulated a future where teams wore sleeveless pullovers with gaudy graphics, and brought them into the 20th century for an evening. It also postulated that the Mets would relocate from Queens to Mercury, but the less said about that the better. The Brewers didn't host a TATC game, but they participated in one down in Miami. And the results were... interesting. 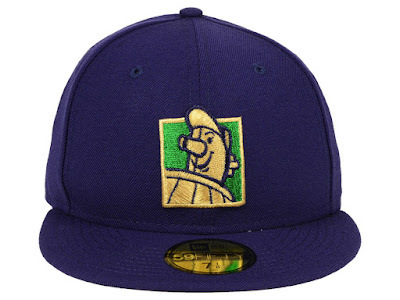 The best thing to come out of this was the return of the Barrelman, who at the time had been discarded and abandoned by the Brew Crew. Strange as it may seem, but this was his first appearance on any Brewer jersey. In fact, it was his first appearance on any Brewer uniform aside from the 1942 warmup jackets. Caps were sold at the time, but in limited number. 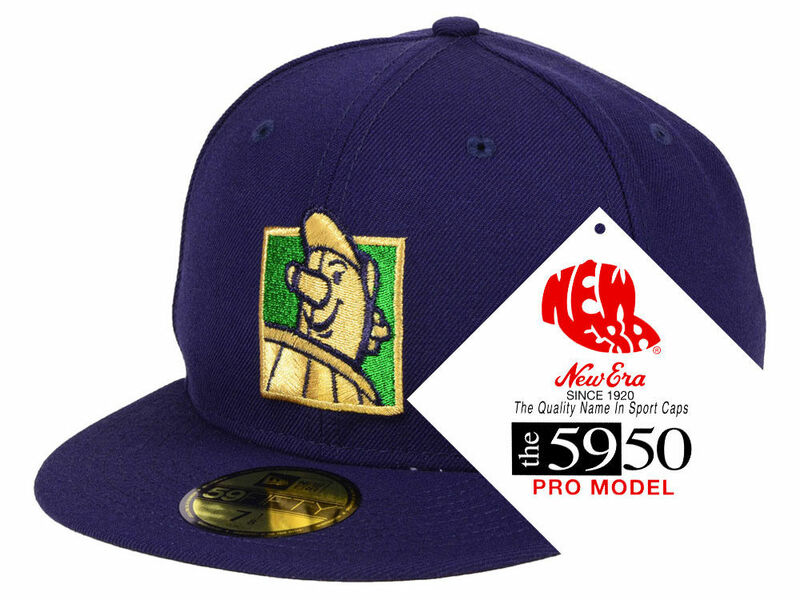 You now have a chance to grab one, as part of Lids' exclusive deal with New Era. They're selling a whole line of them, though (mercifully) not the Mercury Mets. The logo isn't exact—you can see that they've moved him up a bit inside the square, revealing slightly more of his barrel chest—but it's close. 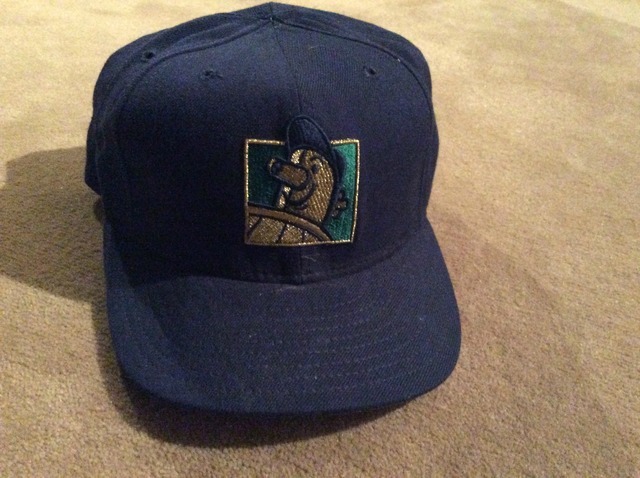 And his cap is now gold instead of blue, which is an upgrade in æsthetic if not historical terms. Slightly puzzling, though; MLB had moved to digital files by 1999, so certainly New Era has the original specs in their files somewhere. Why re-create the logo from scratch, as they apparently did? Still, this is an opportunity to own a rare and fun cap. And anything with the Barrelman is notable on its own. Stock seems to be extremely limited - several sizes have sold out in the couple days since I first became aware of this offering. Act now, and you still may be able to snag yours.